The greatest movie of the 1980s is "The Outsiders." Some may argue with me and propose a movie that actually won an award for "Best Picture." "Ordinary People," or "Children of a Lesser God." Perhaps some legendary film like "Raging Bull" or "Full Metal Jacket." Or maybe something classy and obscure and European. "The Outsiders" is the greatest movie because I watched it one thousand times as a 12 year-old in Omaha, Nebraska, on a VHS tape. Furthermore, I know one thousand lines from the movie. (One thousand is a biblical number, like 40, meaning, "much of my youth was spent rewinding a video tape and watching 'The Outsiders' again.") It is a film about kids from the wrong side of the tracks in 1960s Oklahoma City. They are the outsiders and they smoke and fight and bear great names: Two-Bit Matthews, Soda Pop, Pony Boy, Dally Boy. As a group they go by "the Greasers." I could go on. Just to say: it is the best. Recently I wrote a play in which a spiritual seeker named Ruby is trying to figure out how to pray. She feels she is getting nowhere. Ruby comes to the conclusion that instead of praying to "Almighty God" she wants to pray to something more relatable. Something like a movie—namely, "The Outsiders." I gave Ruby a monologue about "The Outsiders," and all the characters, and references to scenes I had watched one thousand times. I loved this speech. I felt that, in some way, the entire play was written around this scene. 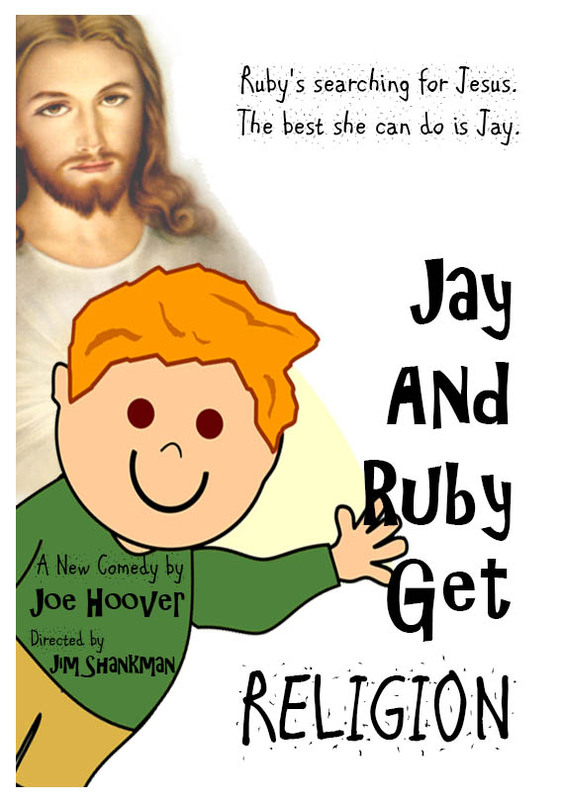 The play is called "Jay and Ruby Get Religion." It is a satiric comedy about our contemporary religious landscape. It went through several readings by wonderful actors, and after each one I continued to chisel away at it. After the last reading, I realized the speech needed to go. It did not serve the play. It served me, my childhood, my dreams of having a more exciting name than "Joe." This is one of the most difficult things for a writer to do: cut away a line, a speech, a scene he or she absolutely loves. It took me two years to finally gain the "interior freedom" to cut that monologue out. "Jay and Ruby" is now being produced. As we go through rehearsals I am glad I cut Ruby’s speech in the play’s fourth scene. It is a stronger play because I finally got there. I gained the ability to sever this vestigial limb from the body. That is a disturbing way to talk about this. Nonetheless. The fourth scene breathed more. It was now simply about the characters, a woman searching for God, in a comic vein. Joe Hoover, S.J., is America’s poetry editor.